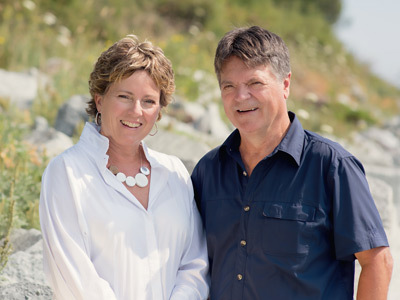 Rod and Keitha have lived in the Comox Valley for the past 16 years and have worked as realtors for the past 12 years here. They have raised their family here and proud to call the Comox Valley home. Previously to moving to the Valley they called Pemberton, BC (20 min. North of Whistler) their home where Keitha had a career in the real estate division of Intrawest and Rod had his own construction company. Keitha also worked as a registered nurse and Rod has his commercial pilots license and has flown extensively. A genuine love of people and their passion for real estate makes them a winning combination. With their diverse background of professions, and their combined experiences it truly makes them a great choice for your real estate needs. Call them - you'll be happy you did!